Our kitchen cabinets have waited patiently for some much needed love, and Mark has finally got to them on the ever growing list. Originally the cabinets were natural oak throughout, and have served us well! But over the years they have lost a lot of their sheen, and natural colour from the sunlight in the kitchen. We wanted to brighten the whole space and give it a true facelift! We chose to refinish using the Fusion Mineral Paint, in the colour Bedford. We gave all the cabinets a clean, and a very light sand, as we want a durable result. As our cabinets were natural wood we had an easy job. But we would recommend Ultra Grip for Melamine/Laminate cabinets, it will make a tricky job, easy peasy. We applied a second coat, as we wanted a solid finish, but the number of coats is dependent on the look you are going for. Once the paint was dry, and we had finished the touch ups for that professional look, we decided to use Fusion Tough Coat. The paint alone is hardwearing, but as our kitchen gets a lot of natural sunlight, and a lot of use we wanted to protect it! 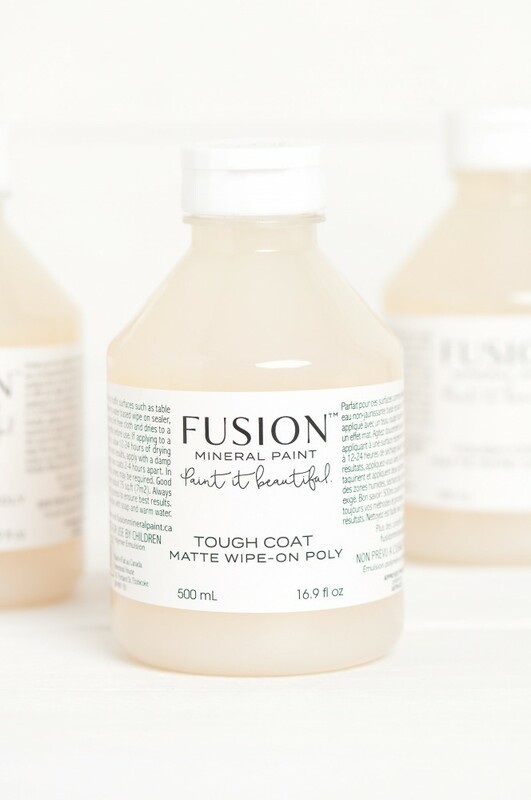 The tough coat not only adds durability, it dries matte, AND is non-yellowing.